The European Tour takes place in Morocco this week for the sixth renewal of the Trophee Hassan II. The field is a relatively strong one and I expect it to be an excellent event from a betting perspective. 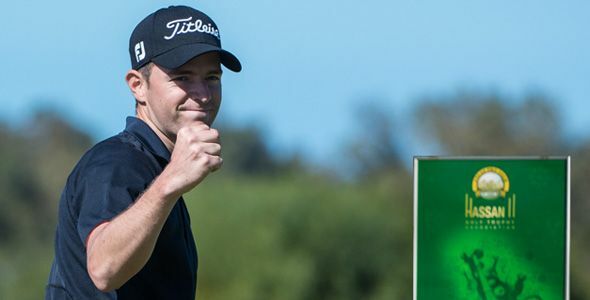 The inform George Coetzee heads the betting at 16/1 and the likes of 2013 winner Marcel Siem and Ross Fisher are not far behind him in the betting. Golf Du Palais Royal is a par 72 that plays just under 7,000 yards and scoring will depend on the wind. The fairways are wide, although some are tree lined and errant drives will be punished, accuracy off the tee is almost certainly more important than distance. Last year seven players finished tied fifth or better and six of them were ranked inside the top 90 in terms of the driving accuracy statistic on the European Tour in 2014. Tyrrell Hatton – Englishman Tyrrell Hatton is a player I expect to win on the European Tour this year and I think he has a great chance this week. Last year Tyrrell put in some excellent performances, he finished inside the top ten on five occasions. He started this year well with a sixth place finish in the Abu Dhabi Championship and he has had the last three weeks off to work on his game. Golf Du Palais Royal should suit Hatton’s game, he’s relatively accurate off the tee and he is capable of performing well in windy conditions. Last year he finished 4th in the Scottish Open and 11th in the KLM Open, both are susceptible to the wind. Kristoffer Broberg – Kristoffer Broberg impressed me throughout 2014 and I’m surprised he can be backed at 100/1 this week. Broberg has made a pretty average start to the season, he’s made 6 of 8 cuts and his best result came at the start of this month when he finished in 10th position. Admittedly he did miss the cut in his most recent event but this doesn’t put me off. Last season the Swede recorded eight top 25 finishes and the majority of those came in strong fields. As I’ve mentioned above the wind will be a factor this week and Broberg has proved he is more than capable of playing well in windy conditions. Last season he finished 2nd in the Scottish Open and 32nd in the Open Championship, in both events the wind was prominent. Last year Broberg tied for 25th in the Trophee Hassan II, this suggesting that he can perform well around Golf Du Palais Royal. Oliver Fisher – Oliver Fisher won the Czech Open back in 2011 and has struggled since, however I’m happy to back him to return to winning ways at 125/1 this week. He made a good start to the season finishing 12th in Abu Dhabi and 10th in Qatar in strong fields. Since then his level has dropped slightly but he played ok in the Tshwane Open a couple of weeks ago and tied for 53rd. Fisher has the game to perform well around this track, he can play well in the wind which he has proved on multiple occasions on the European Tour. He finished in 15th position in this event in 2013 which shows he is more than capable of putting in a decent performance around the tricky course in use this week.